Fiber optic cable is no longer limited to communications and/or cable companies. Many electric companies have run fiber along their networks. Existing structures used to support the electric networks make power companies well poised for providing communication services for internal purposes or to compete with traditional communication companies. 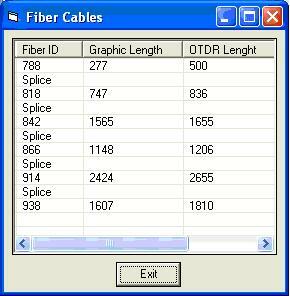 With the increasing use of Fiber, one application that many users have asked for in GTViewer is a Fiber OTDR Trace. 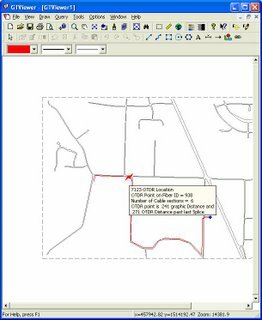 This application is an excellent example of how GTViewer can really leverage the data from your GIS to provide a truly productivity-enhancing tool for the field. OTDR (Optical Time Domain Reflectometer) is a device that analyzes the loss of light in fiber. This loss could be caused by a break in the fiber or by splice problems. The device simply pulses a laser into the fiber and precisely measures the time between emission and detection of the backscatter created by problems along the fiber path. The device then provides a distance to the location of the problem. 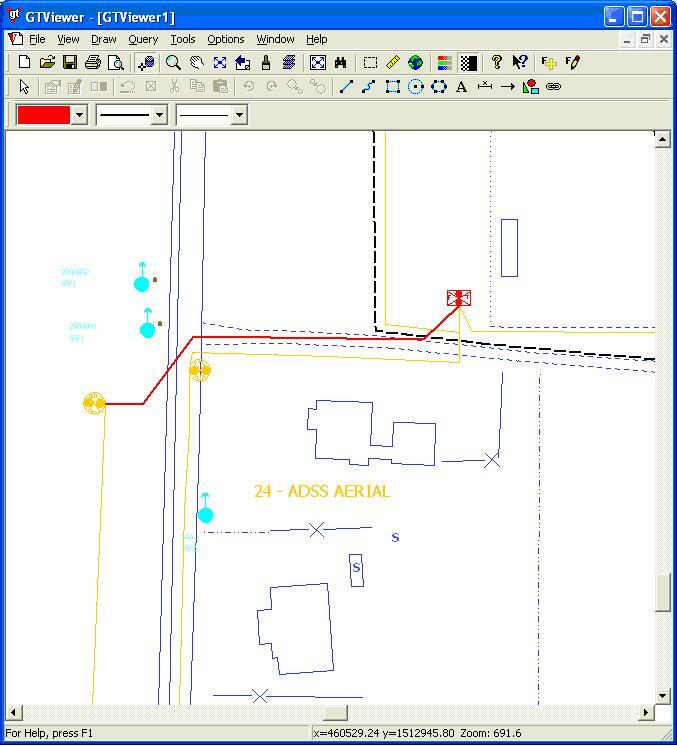 Using GTViewer and GT/Trace, the Fiber OTDR Trace application allows the user to graphically select the feature where the OTDR is attached to the fiber network. With the distance to the problem from the OTDR, the Terminal or Splice ID, and the Cable Id, the application is ready to find the problem. 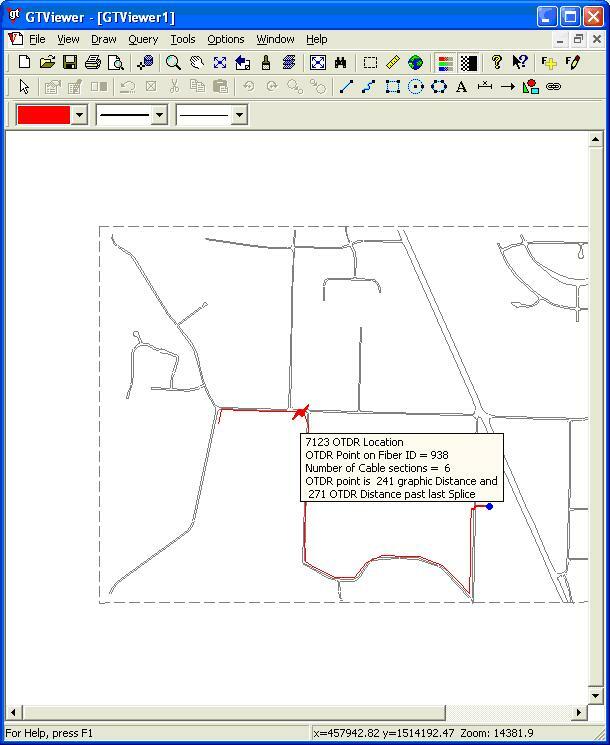 By tracing the specific fiber through the network, a list of features is produced and a tally of both the graphical lengths (as drawn on the map) and OTDR lengths (from the database). 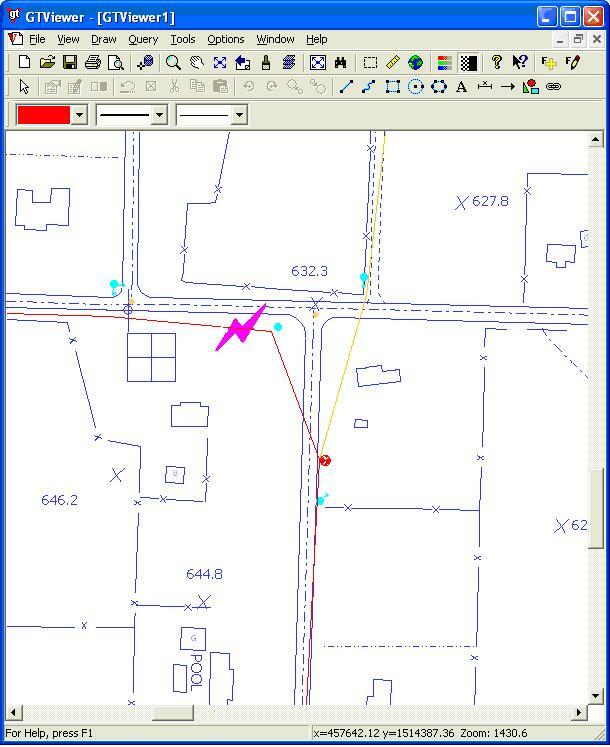 Then by interpolating the distance to the problem indicated by the OTDR, a precise location can be graphically indicated on the map in GTViewer along with the graphical trace results. 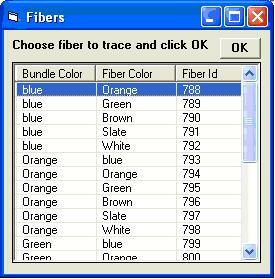 GTViewer empowers the users with the information necessary to resolve the fiber problem. 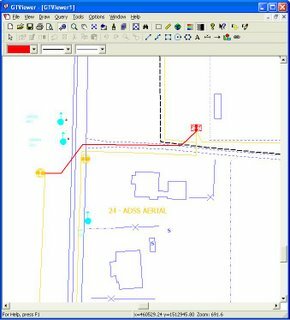 While the OTDR provides the critical piece of information about the location of the problem, only tracing the fiber network for a specific fiber can get you to the right spot. 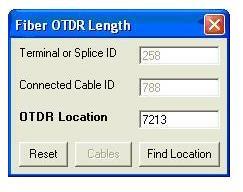 Traditionally, the OTDR trace could only be performed by a full GIS seat in an office environment. 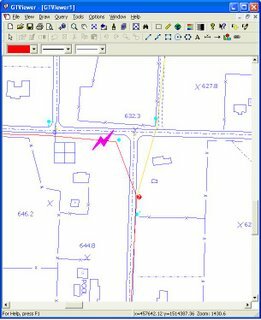 Now, GTViewer and the Fiber OTDR Trace application give you the tools you need when and where you need them.